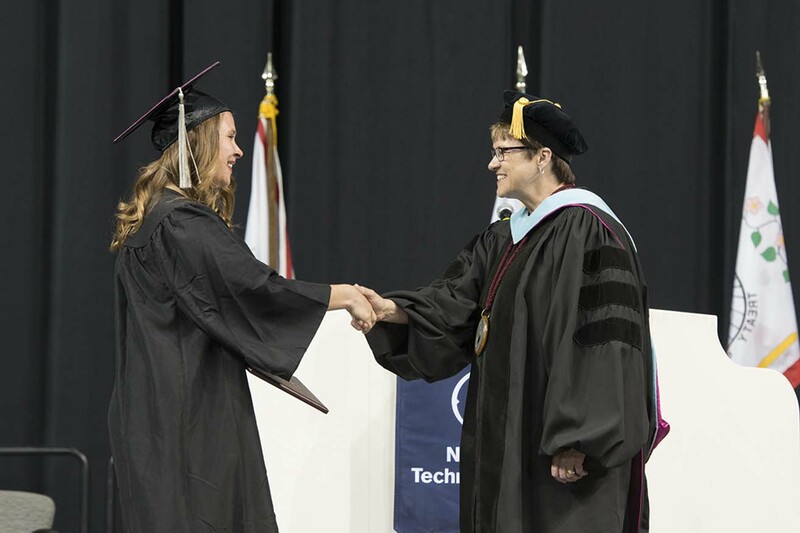 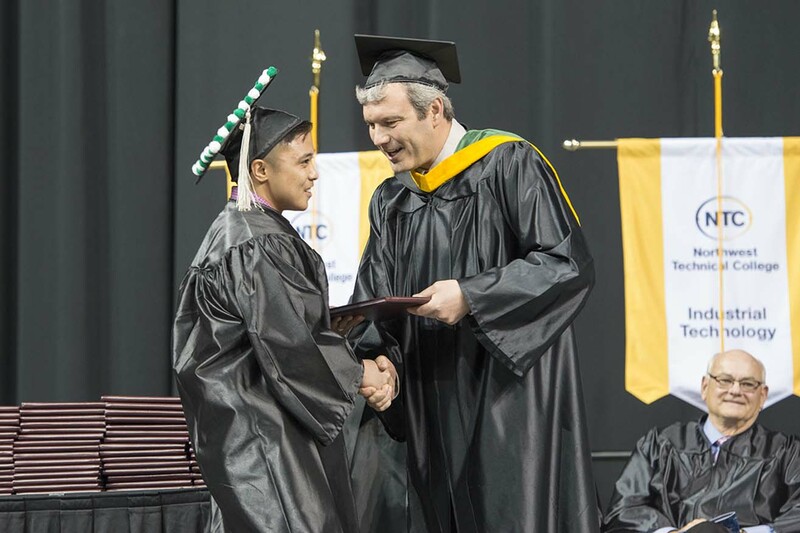 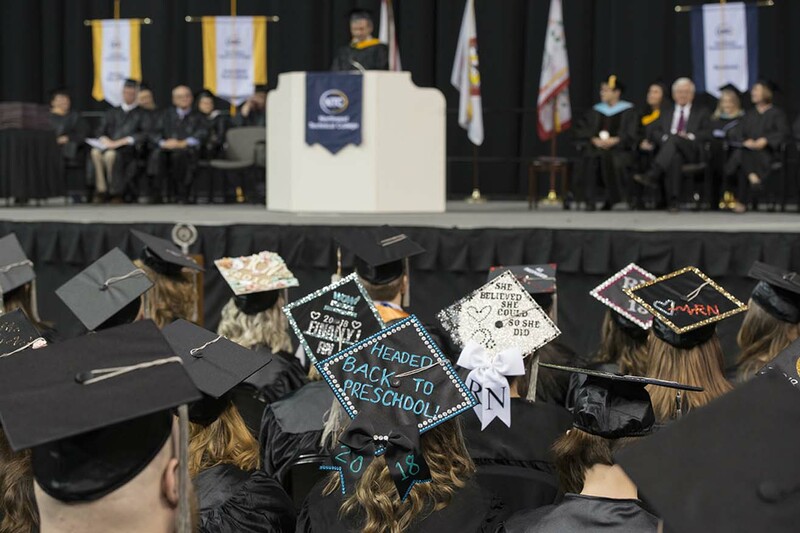 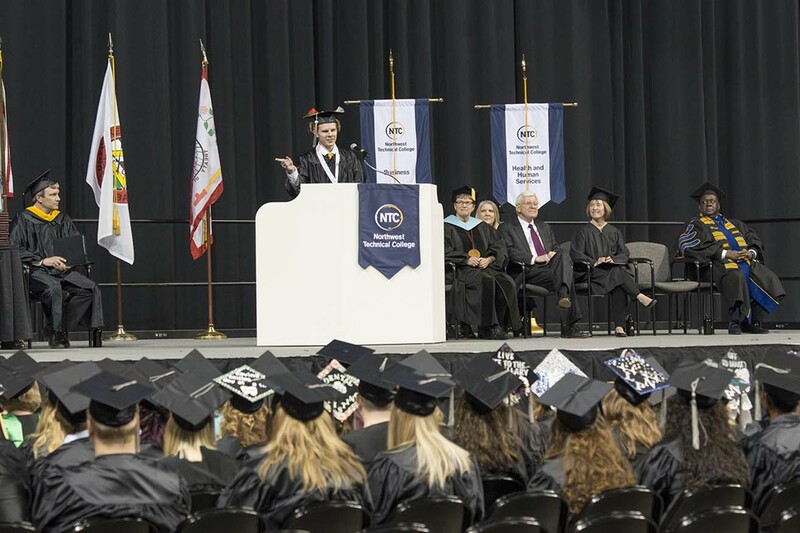 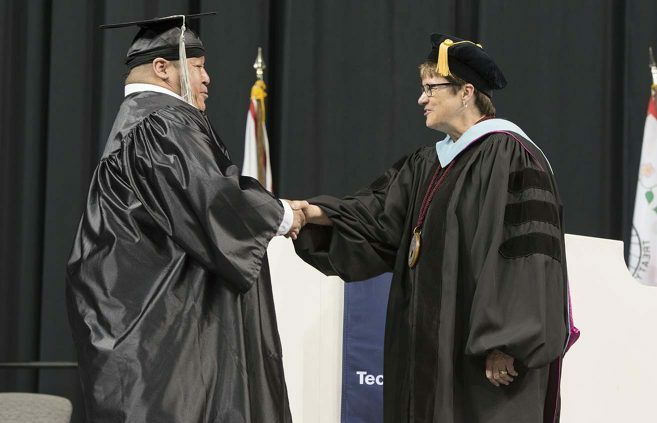 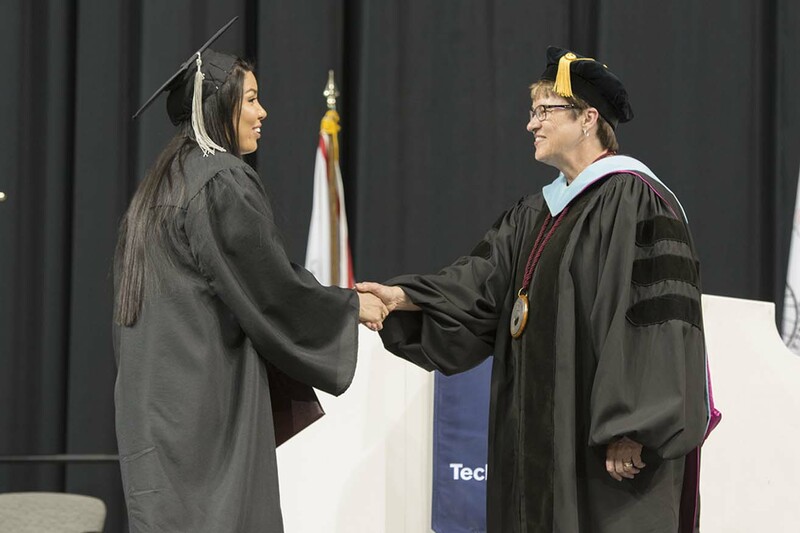 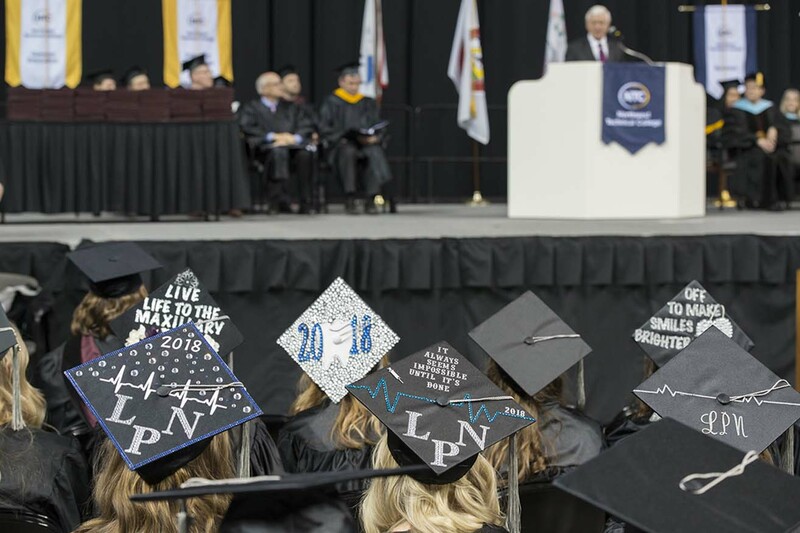 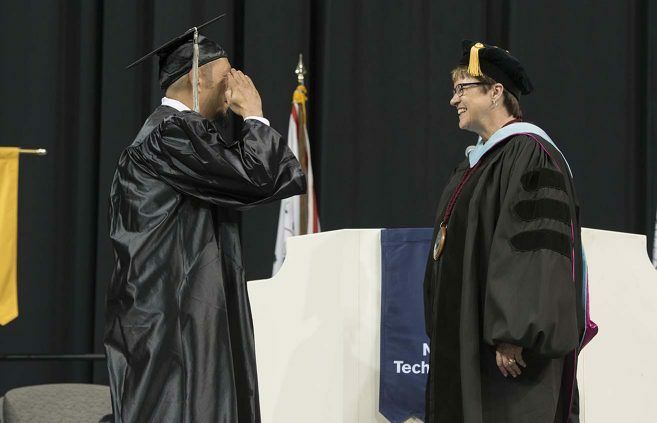 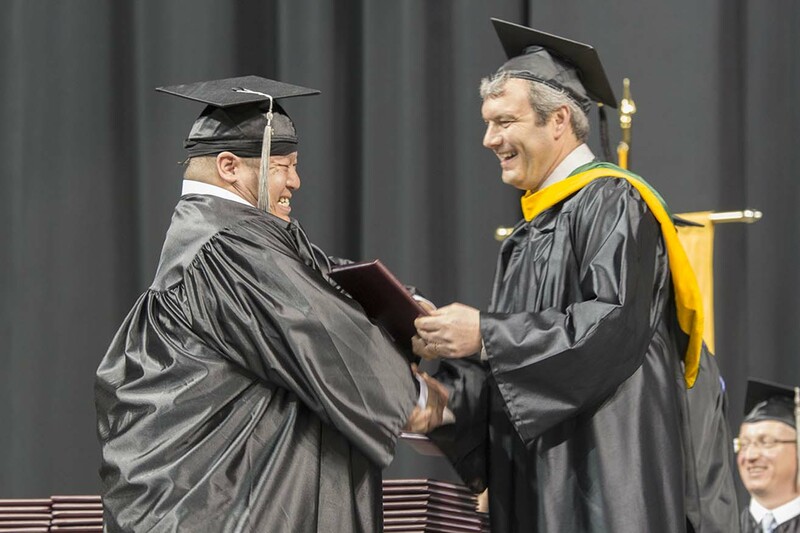 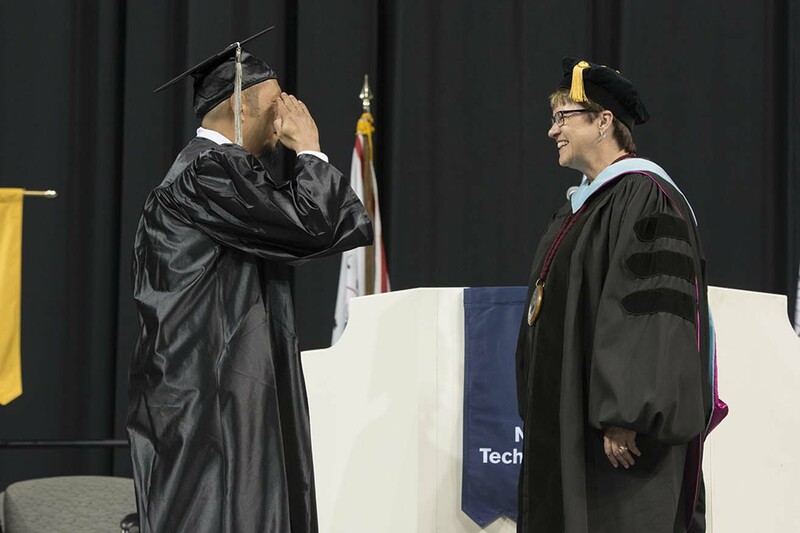 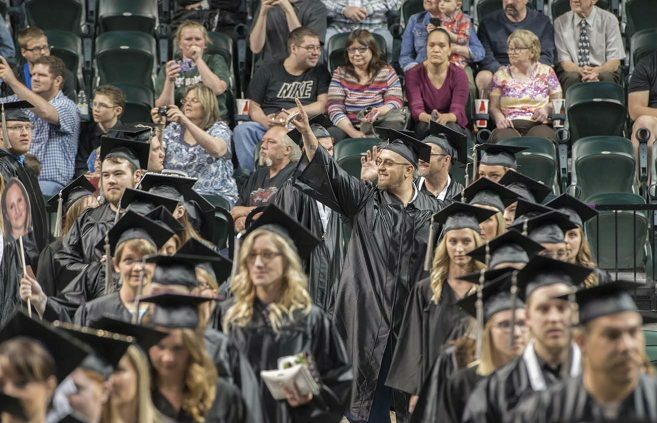 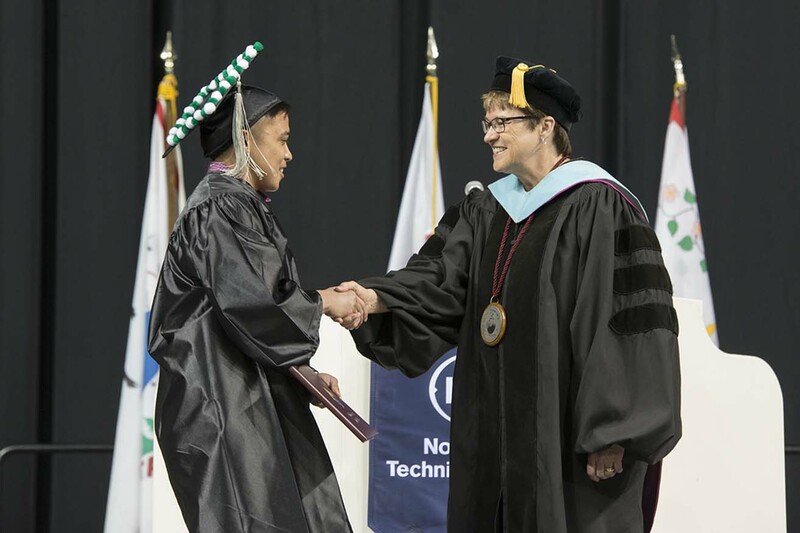 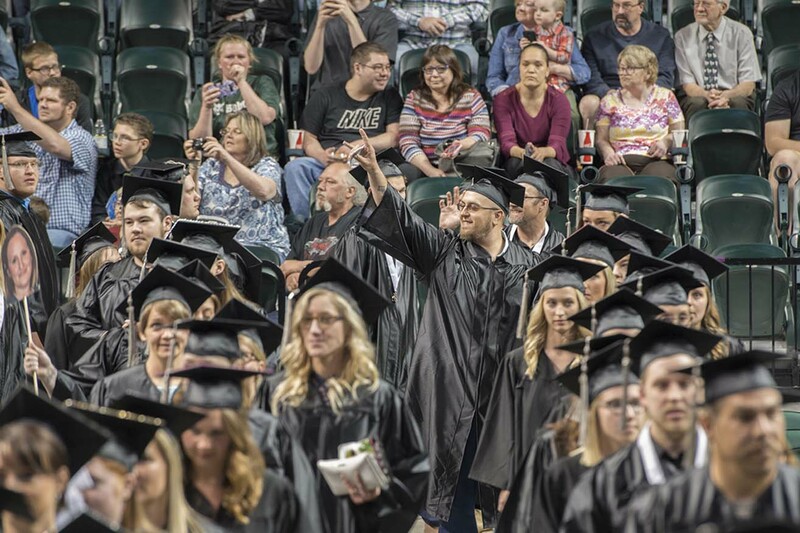 More than 200 Northwest Technical College students celebrated the completion of their certificates, diplomas and degrees at the college’s annual Commencement ceremony. Eighty-one of the college’s 214 graduating students graduated with honors, reserved for students with cumulative grade-point averages of 3.50 or higher. 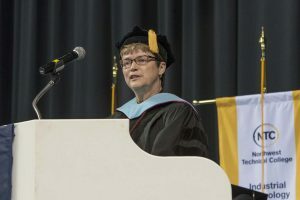 After giving NTC’s Class of 2018 one final assignment — to take out their phones and send a message to someone who had helped support their college journeys — President Faith C. Hensrud said the graduates had shown through their achievement that they understand the value of an education and the difference it can make in the world. 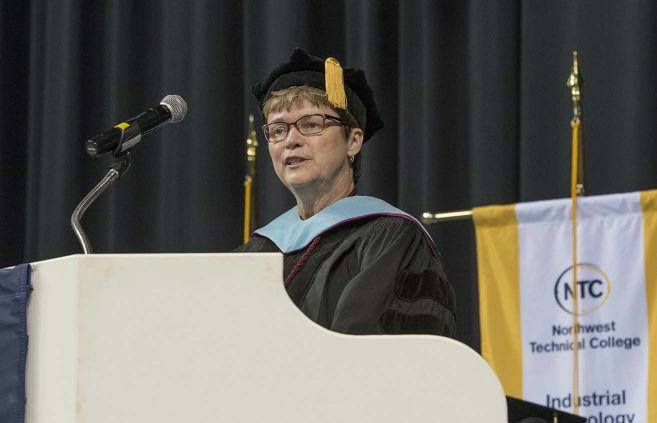 She gave the graduating class a few points of advice as they celebrate their accomplishments: to work hard and keep learning every day; to continually seek new responsibilities as they gain experience and confidence; to step outside of their comfort zones when opportunities arise; to make time for loved ones and themselves; and to be active, involved members of their communities. 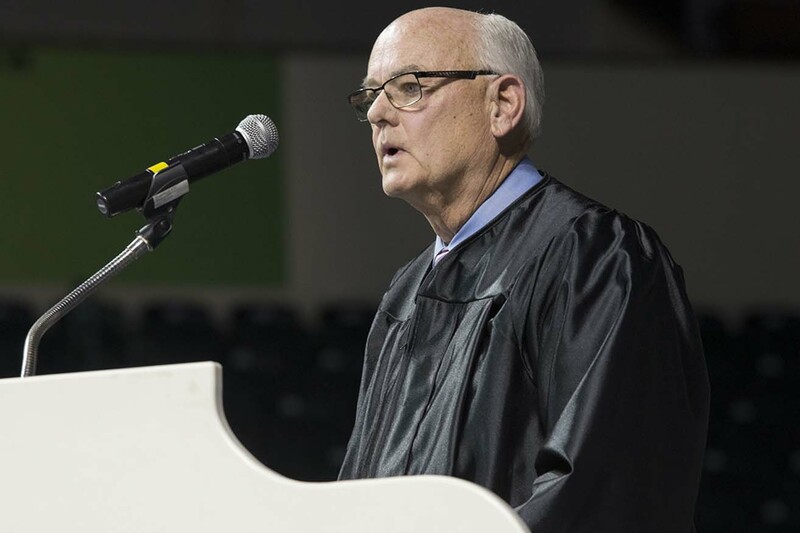 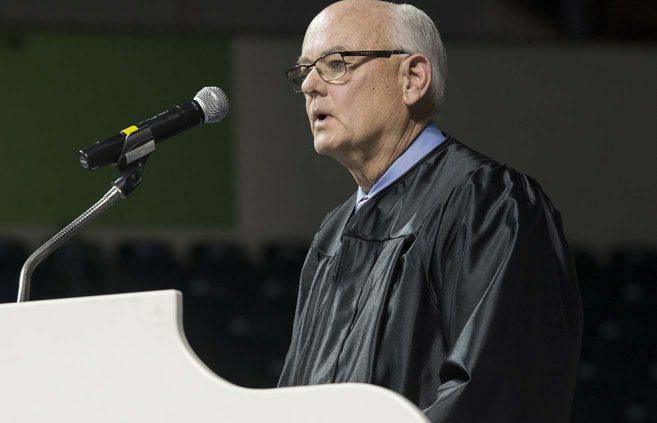 Roger Moe, a trustee of the Minnesota State colleges and universities, greeted graduates on behalf of the Board of Trustees, Chancellor Devinder Malhotra and the faculty, staff and students at its 54 campuses. 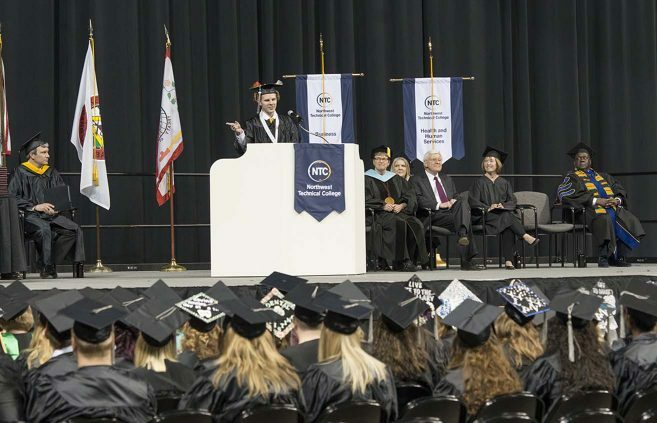 Matthew Fank, a graduating child care & education student who sported a mortar board adorned with Princess Leia buns for Star Wars Day, congratulated his fellow graduates, calling on the group of new NTC alumni to take their unique experiences and the bonds formed over the last few years into the real world. “Today is a very special day. 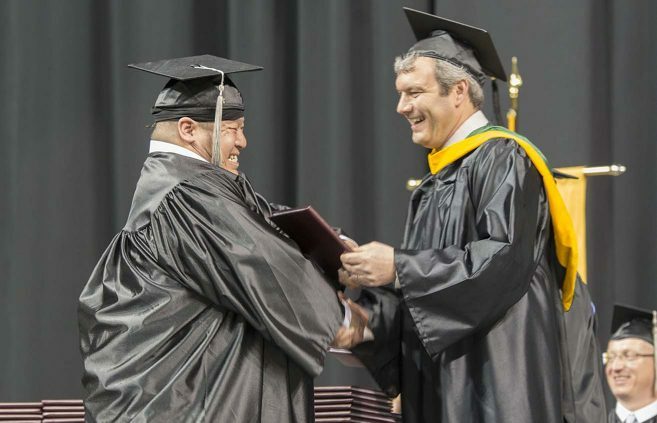 For most of us here, it is the culmination of years of hard work and determination,” he said. “Each of us has taken a journey to be here today — some longer than others, but every one worth the struggle. Retired Minnesota state legislator and construction executive Jerry Bauerly delivered NTC’s Commencement address. 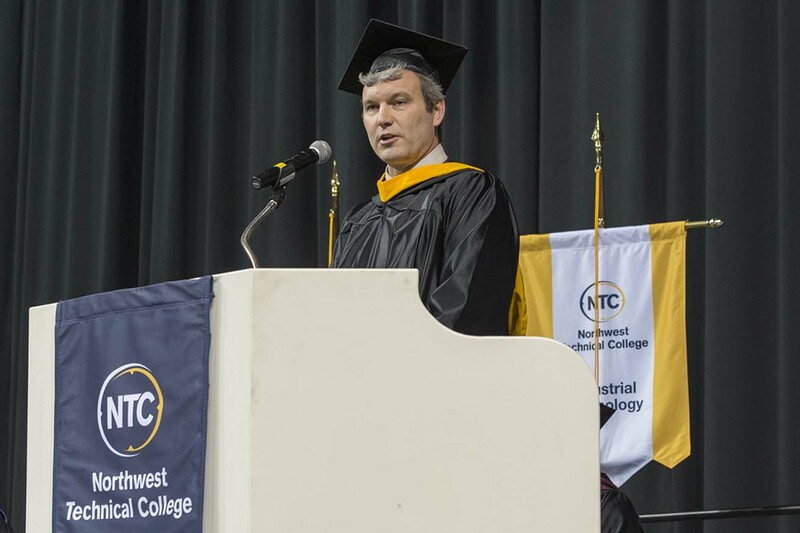 He challenged NTC’s graduating class to “find their why” — their purpose in life — and to keep it front and center in all they do. 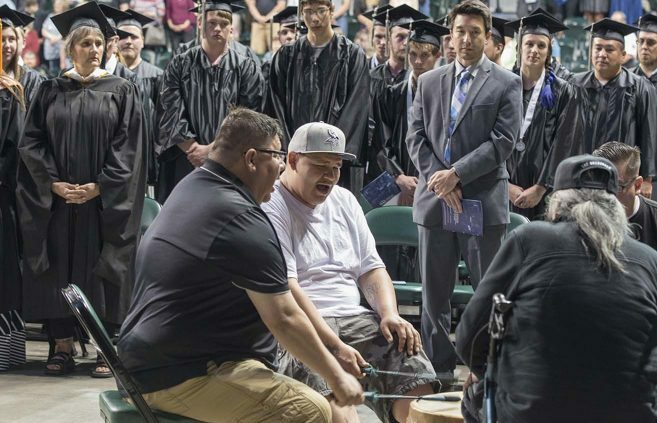 Then, by recalling a situation that dramatically changed the direction of his own life, he encouraged the graduates to stay alert for life’s curveballs. 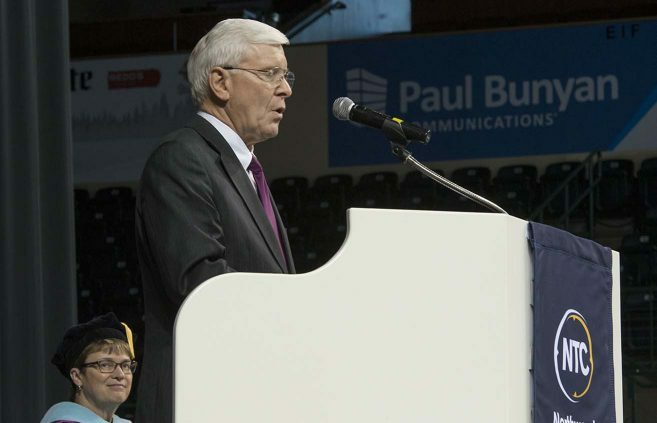 Bauerly, who at first said he found his “why” as a high school teacher and coach, shared the story of a 1968 auto accident which claimed the life of his father. 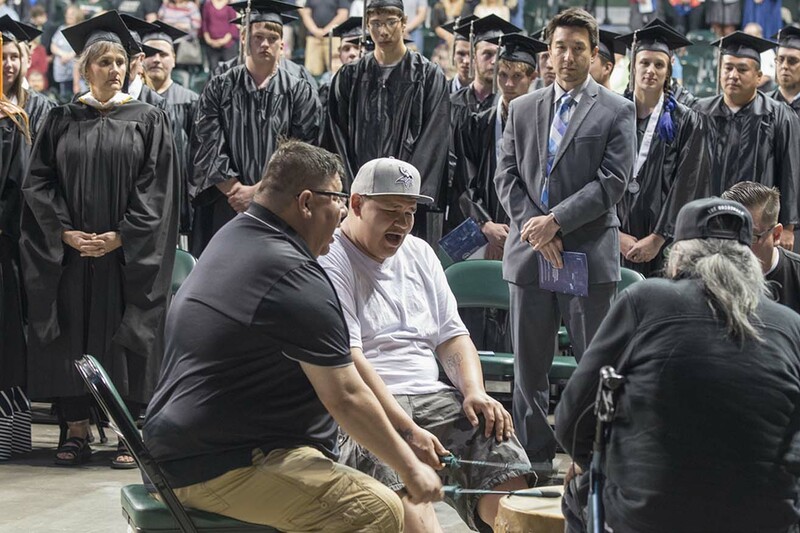 That accident, his curveball, put he and his brother on a path to ownership of a construction company to help their mother support the family’s nine children. 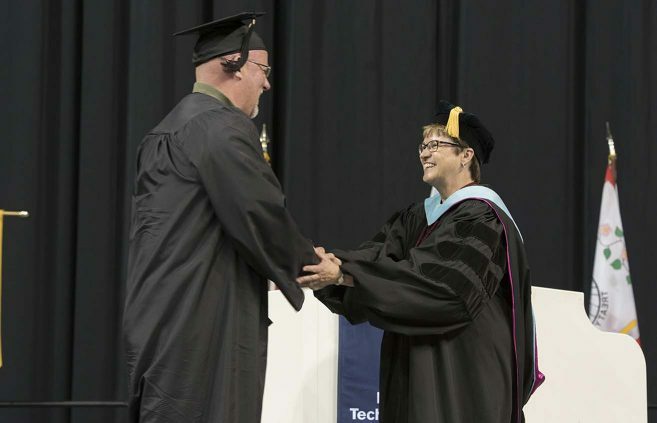 Northwest Technical College, located in northern Minnesota’s lake district, is an open, inviting technological learning organization. 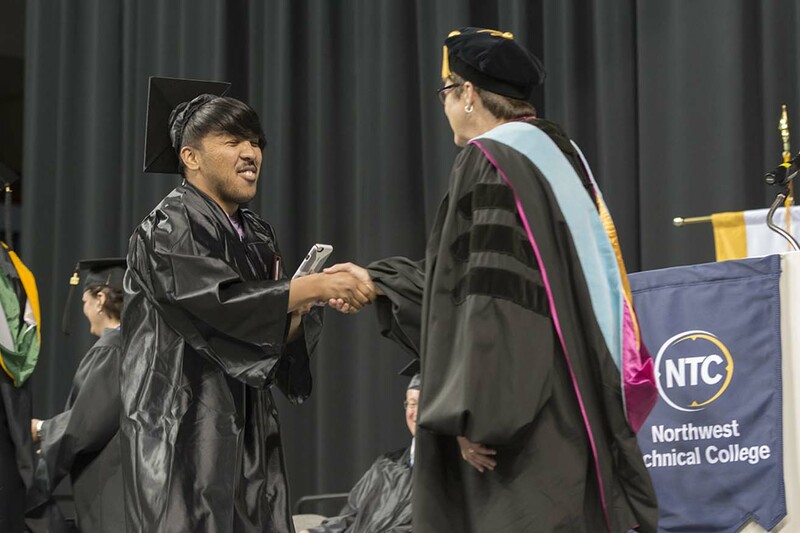 For more than 40 years, the college has valued life-long learning and the worth and dignity of all people. 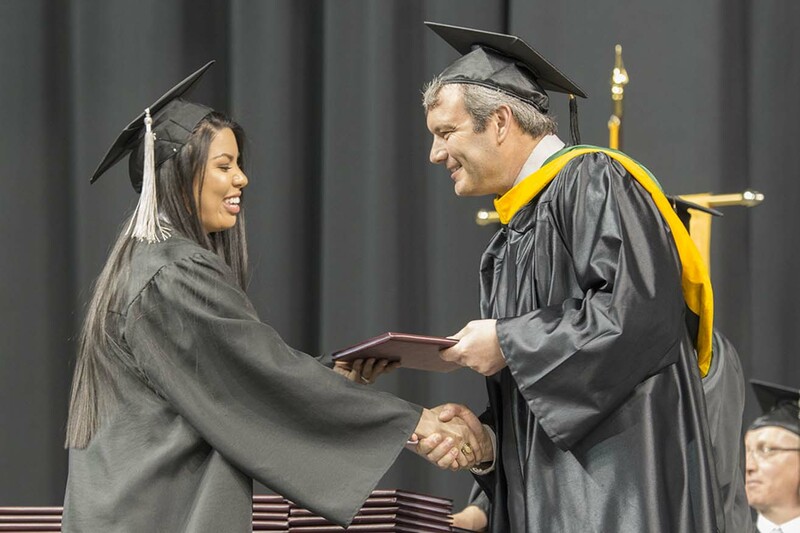 The college serves 900 students with a high-quality education, an open-enrollment policy and affordable tuition. 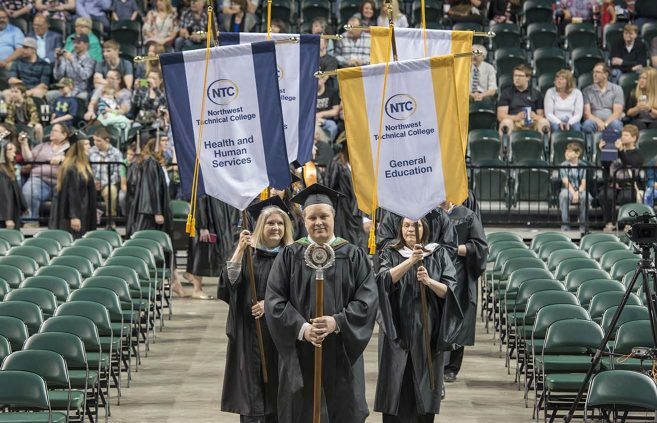 NTC offers nearly 60 degree, diploma and certificate programs in areas such as business, health, human and protective services and environmental and industrial technology. 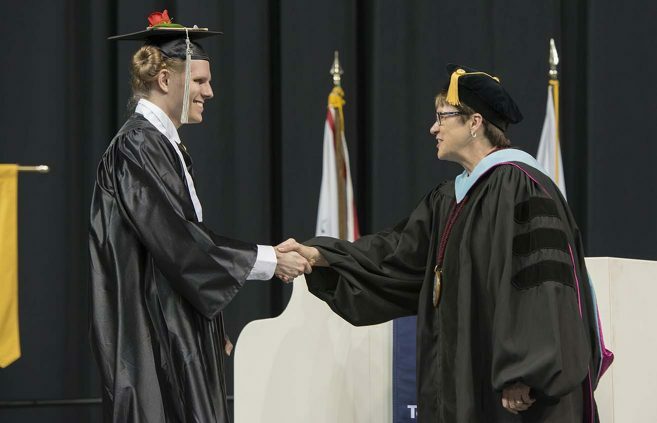 Classes are offered on the Bemidji campus, online, or as a combination of both. 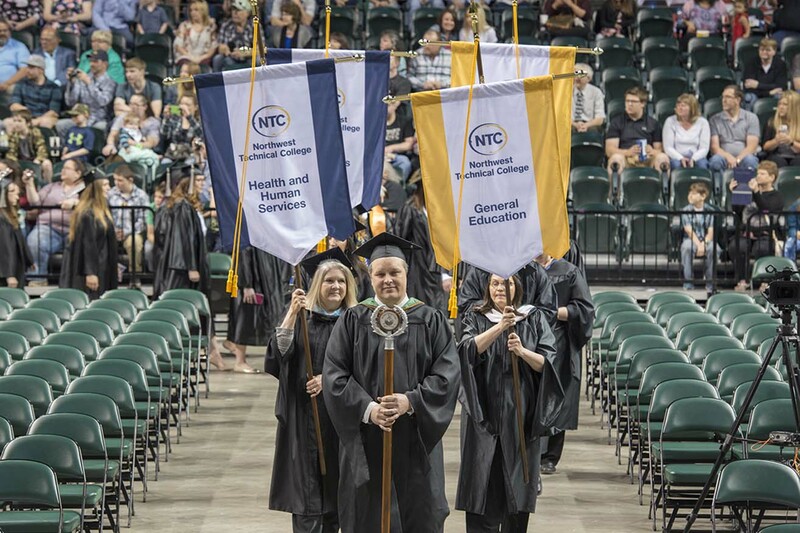 NTC is a member of the Minnesota State system of colleges and universities.